An opportunity to show in Fridge Art Far in New York City. It is free to apply, so definitely check it out! Fridge Art Fair will be held at the Angel Orensanz Foundation, which is housed in the former Ansche Chesed Synagogue. The building was constructed in 1849, in architectural integrity and the tradition of the German Reform Movement of the mid 19th century. In addition to housing the Foundation and hosting some of the world’s most notable events the building remains in use as a house of worship and is the oldest surviving Synagogue in New York City. Artist Eric Ginsburg http://www.worldoferic.com, founded fridge Art Fair as what was supposed to be a one-time event during Frieze Week in New York City in 2013. It was founded as a means to make amends for a project he felt went h9orribly wrong in part because the participants in this project were unable to have 9fun. Eric Ginsburg turned to his mentor artist and gallerist Kazuko Miymato for assistance with this project. Kazuko Miymato not only provided assistance; she provided the gallery which she founded Gallery Onetwentyeight http://www.galleryonetwentyeight.org as the venue for the first Fridge Art Fair. For the 4th New York edition of Fridge Art Fair titled “The Fridge Freeze Project” and the 7th edition of the fair we are pleased to announce our partnership with the Angel Orensanz Foundation. The Fridge Freeze Project will feature artist Angel Orensanz http://www.angelorensanz.com will create a site specific installation for the fair which will be located in the main hall. Eric Ginsburg, known for his “Funky-Fresh” Dog and Cat paintings New York based curator Linda DiGusta https://www.linkedin.com/in/linda-digusta-2210515, Miami mainstay artist, gallerist and teacher Virginia Erdie (virginiaerdie.com) and web-maestro Dylan Green (landofgaj.com) return amongst others to anchor Fridge Art Fair, as do historic Gallery OneTwentyEight and our local charity, The Angel Orensaz Foundation. On Sunday (Mothers Day), Eric Ginsburg will be photographing your dog for a portrait commission benefitting BARC’s www.barcshelter.org animal rescue programs. Galleries. 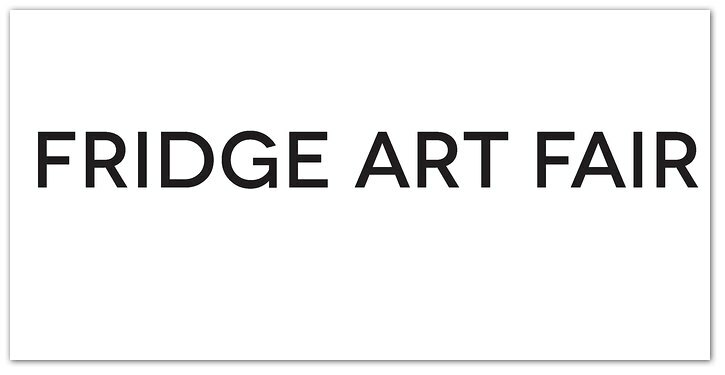 Collectives, organizations and artists are invited to apply at http://www.fridgeartfair.com to exhibit in the Fair. The participants of Fridge Art Fair are encouraged to use their “booth space” and make it their own. Fridge does not select each piece of art accepted fair participants are permitted to exhibit/sell at the fair. Fridge views the concept when the applicant is applying and the accepted applicants use this idea to set up their space. At Fridge we value the creative eye of all the fair participants with the belief that there is “something for everyone at Fridge. Fridge specializes in customizing spaces to exhibitors’ needs to allow creative range of expression, curators will work with you on the space and costs once the application is approved, and there is no fee to apply.